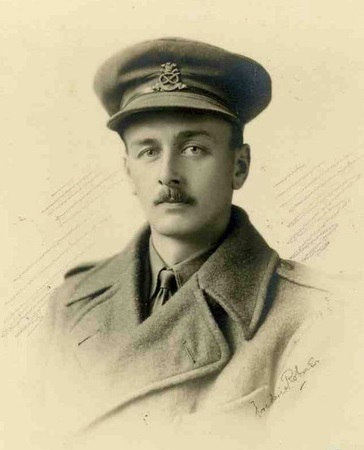 Captain Robinson served with 7th Bn, The North Staffordshire Regiment. This unit was formed due to the Secretary-of-State for War, Lord Kitchener’s call for volunteers at the beginning of the war. The 7th North Staffs was drawn of the first batch of men in the Lichfield area to volunteer. Whether Captain Robinson joined the army at this time is not known. After undergoing training in England, the Battalion sailed from Avonmouth in June 1915 and landed at Gallipoli after a month at sea. On 26 January 1916 the Battalion, landed in Egypt, and a month later arrived in Mesopotamia (modern day Iraq) as part of a force who attempted to relieve the besieged British garrison at Kut. Unfortunately the beleaguered force capitulated to Turkish forces in April 1916 before help could arrive. During April 1916 the battalion was engaged in fighting on the river Tigris, and Captain Robinson was wounded at some time during this month. Prior to the outbreak of the Great War he won an Olympic gold medal as part of the England field hockey team at the 1908 Olympics.